World of Warcraft director Ion Hazzikostas will discuss both the game’s history and immediate future at PAX West 2018. Love it or hate it, World of Warcraft has been a major fixture of the gaming landscape since it first launched in 2004. Entire industry trends have come and gone while WoW remains, continuing to support its loyal fanbase. That history is going to be a major point of the PAX West 2018 keynote, led by none other than game director Ion Hazzikostas. Hazzikostas first joined Blizzard Entertainment in 2008, setting aside a career in law to become a full-time designer. His earliest tasks included raid design, class balancing, and maintaining an achievement system for Wrath of the Lich King. 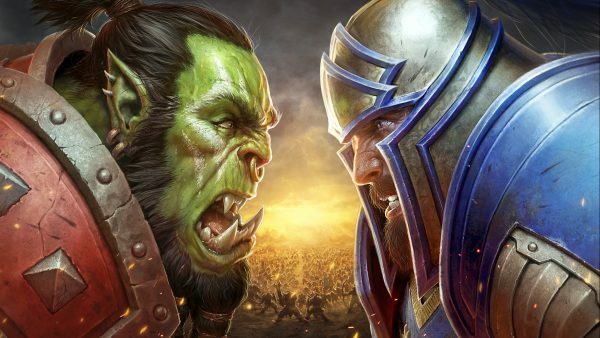 In 2016 he became WoW’s game director, where he has worked on the Legion and Battle for Azeroth expansions. PAX West runs from August 31 to September 3, although if you’re looking to get in only Monday badges are currently available. Even setting aside WoW’s impressive history, Battle for Azeroth launches today – so Hazzikostas will certainly have a lot to talk about. Don’t forget to check out our interview with lead designer Alex Afrasiabi on what makes this expansion so special.